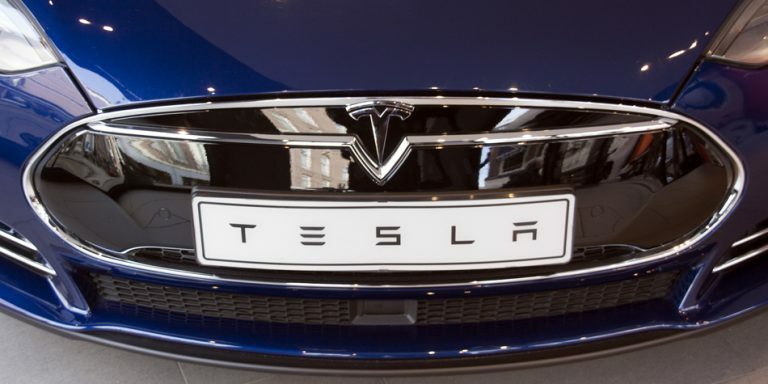 Considering that Tesla Inc (NASDAQ:TSLA) currently sits at around $360 per share, it would take roughly a tripler Elon Musk’s company to extend into quadruple digits. But Amazon.com, Inc. (NASDAQ:AMZN) just did it, and so did Alphabet Inc (NASDAQ:GOOGL). And while it might seem crazy, TSLA stock could too. Tesla is just a few dollars away from all-time highs. And a $57 billion market capitalization for a company that currently produces about 100,000 vehicles annually — less than 2% of Ford Motor Company’s (NYSE:F) annual production — isn’t too shabby. You might say Tesla is reaching as it is. When will TSLA stock hit $1,000? Tesla’s current market cap is sitting around $57 billion right now, while Ford’s is about 21% less at $45 billion. On a per-vehicle basis, then, Mr. Market values each of Tesla’s cars at $570,000 while it has assigned a value of roughly $6,400 for each of its vehicles. That might seem unfair to Ford shareholders, but it is what it is. Get over it. For TSLA stock to get to $1,000, its market cap (based on today’s share count of 164.3 million) has to get to $164.3 billion. Assuming that Tesla’s per vehicle valuation remains the same — which we know it won’t — Tesla would have to produce 288,245 vehicles ($164.3 billion divided by $570,000 per vehicle). Tesla expects to hit 500,000 annually in 2018. The big question: How many Model 3s will it deliver? Musk has said it will get to 10,000 Model 3 vehicles per week sometime in 2018. Assuming it can achieve this goal unless the Model X and Model S sales fall off a cliff, it’s almost guaranteed to hit production of half a million vehicles in 2018. At $570,000 per vehicle, we’re talking about a market cap of $285 billion. Dial that back to $164.3 billion, and the value per vehicle drops to $328,600 — still a large number, but almost half what investors are currently willing to pay. A lot can happen in three-and-a-half years. Rising interest rates, an economic recession, oil prices cratering, the bull market ending or a bunch of other theoretical problems that could raise their ugly heads. Any of these will put a significant dent in Tesla’s plans. However, assuming the world remains a relatively calm place (ISIS excluded), if 500,000 is possible in 2018, I see no reason why it can’t hit a million vehicles three years hence. With four vehicles (Models S, X, 3, and Y) in production and a possible semi-truck to jump into the commercial market. Skeptics like Morgan Stanley (NYSE:MS) don’t think Tesla will deliver 500,000 Model 3s until 2024. Assuming they’re right, let’s assume 250,000 Model 3s is realistic by 2020. That means the other three vehicles would have to make up the 750,000 difference. That’s likely not possible, so let’s cut that number in half to 375,000 vehicles. That gives us a total production of 625,000 vehicles by the end of 2020. Using a market value of $164.3 billion, we get a per vehicle value of $262,880 — 58% less than today’s valuation. Tesla is currently losing $13,000 per vehicle delivered. At 625,000 vehicles in 2020, it would lose $8.1 billion. However, you and I both know that if it ups production from approximately 100,000 vehicles annually to 625,000, the loss per vehicle will drop. The problem is TSLA is currently burning through $2 billion in free cash flow annually ($622 million in Q1 2017). That’s $20,000 per vehicle, based on 100,000 annually. Fast forward to 2020, and we’re talking about burning through $12.5 billion in free cash flow — in one year! If that happens, it’s going to have to borrow a boatload or issue a whole lot of shares diluting existing shareholders in a big way. That’s bound to put downward pressure on its stock. Can TSLA Stock Get to $1,000? Sure it can. You might think Elon Musk is an egomaniac with no understanding of the real world—and you might be right. But if anybody is going to fit a square peg into a round hole, my bet’s on the Tesla CEO. The best part about Tesla hitting $1,000? It will demonstrate how resilient the American spirit truly is. Warren Buffett believes in America; I do too. I don’t know what the next three years will bring — nobody does — but if Tesla hits its production numbers, it would be good for the country, regardless of whether its stock goes to $1,000. Article printed from InvestorPlace Media, https://investorplace.com/2017/06/why-tesla-inc-tsla-stock-could-absolutely-hit-1000/.